it’s quite possibly one of my favorite things to drink. Winter or summer, hot or cold. I can drink tea year round. There is nothing better than a hot cup of tea and a good book on a cold chilly day. My favorite thing however is chilled tea. I love to brew herbal teas in the summer and cool them over ice. I make a great pomegranate iced tea that I pour over frozen berries. 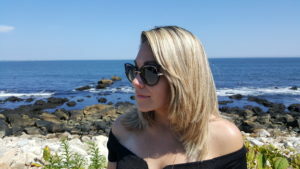 It is so refreshing to beat the heat. This post isn’t about any ordinary tea though. It’s about my new favorite tea or drink to make, matcha. Mmmmm, matcha! Matcha is popping up in every health food store and coffee shop around town. It’s not just a new fad. However, I’m sure some have made it seem that way. Matcha has been a popular drink in chinese and japanese culture. While matcha is a form of green tea and green tea is grown all around the world, matcha is unique to Japan. It is actually a very traditional tea that is used in japanese tea ceremonies and differs greatly from your average cup of green tea. Unlike your ordinary cup of green tea which is brewed from crushed tea leaves, matcha is ground into a powder using the whole leaf. It is the only tea of its kind where the whole leaf is dispersed in water. This results in higher concentrations of antioxidants, amino acids, vitamins, minerals, and fiber. These are just a fraction of the amazing benefits drinking a cup of matcha tea a day can offer you. The Zen Buddhist monks knew all about the power of matcha and so can you. Relaxation- The Zen Buddhist monks used matcha green tea during meditation practices so they could stay alert while still feeling relaxed. The Anti-stress effects present in matcha can be attributed to the amounts of L-theanine, which is a unique amino acid that works like a neurotransmitter. L-Theanine promotes the production of alpha waves in the brain which can induce relaxation. L-theanine also aides in the production of serotonin. These are your happy mood lifting chemicals in your brain. They are responsible for regulating mood, memory, and concentration. 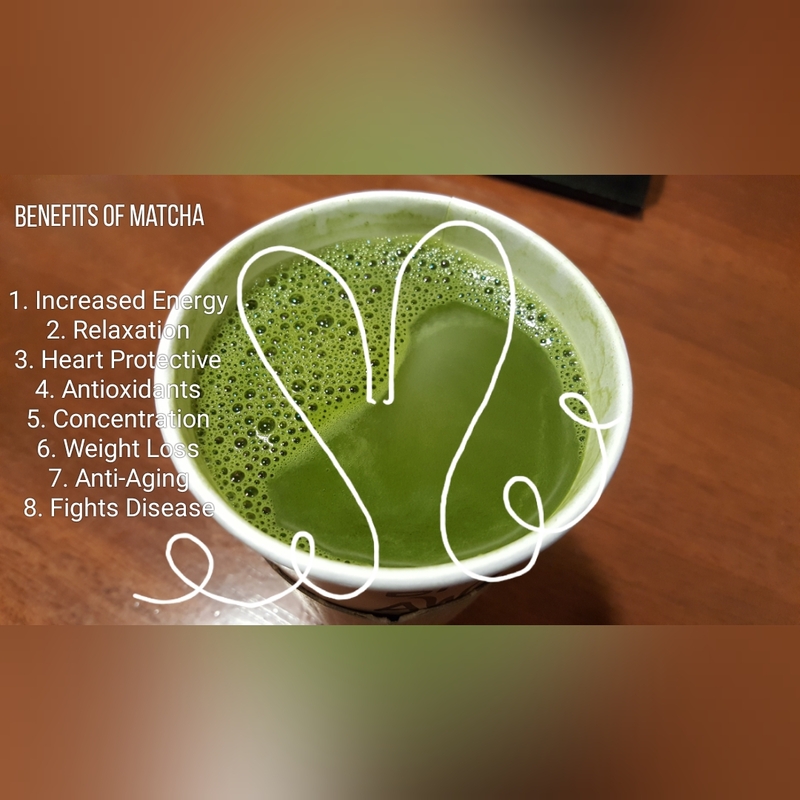 Protects against oxidative stress- According to research matcha has high levels of egcg, a plant compound that reacts with free radicals and can minimize oxidative stress. This is extremely important since oxidative stress can lead to serious health complications and shorten life expectancy. Antioxidant Boost- The high level of antioxidants found in matcha are heart protective. They are also anti-inflammatory, as well a vasculo-protective. Antioxidants also have the power to protect against free radicals like egcg does. Antioxidants fight against the negative effects of uv radiation and protect against ageing. Weight loss- Everyone knows caffeine is great for weight loss because it speeds up the metabolism but EGCG is even better. A study published in 2014 stated that EGCG helps the liver break down and process fats. Try incorporating some green tea into your everyday routine to boost your metabolism and cut fat. Matcha green tea does have a very distinctive taste that comes along with its bright green hue. The taste is crisp, vegetative, and earthy. The strong taste of matcha is likely due to its high concentration of L-theanine. In japanese it is regarded as umami, which means savory, bitter, sour, sweet, or salty. It is such a distinctive flavor that the japanese refer to it in such a way. Most people aren’t crazy about the taste of matcha when they first try it, but like anything else, after the first few sips you become addicted. If your taste buds don’t tingle at the sound of unami maybe your eyes will deceive you. Matcha has a very distinct, bright almost neon green hue. The color is so desired I’ve seen people add matcha to their smoothies drinks, and acai bowls to achieve this perfect green glow. The color comes from the concentration of chlorophyll in the leaves. In the last 20 days before harvesting the plant is covered and shaded from the sun. The lack of sunlight shocks the plant into creating more chlorophyll. The L-theanine in the plant is also stronger as it is not broken down in this process. You can imagine how important this technique must be to the growth process of the plant. This process is important not only for the taste and color of the plant but it’s pureness too. You must follow certain processes in order to achieve a ceremonial grade matcha tea. Once the plant has been picked it is then steamed. This process is necessary to prevent oxidation. The leaves are then de-stemmed and de-veined. Sometimes the leaves are ground without the removal of the stems and veins, this results in a different tea known as sencha. The matcha is then dried and ground into the fine powder you use to make your tea. Not all powdered teas can be called matcha. Sencha tea has not gone through the same growing and refining process as matcha and therefore will not have the same taste, look, and smell. Sencha is also ground using machinery and ceremonial matcha is ground with stone. The color will almost give it away. True ceremonial grade matcha will be vibrant and green. It will also be in a fine powder form and have a natural, vegetative, and sweet taste. Sencha has a more yellowish hue and is more coarse as the veins and stems were not removed prior to grounding. Sencha has a bit stronger and more pungent taste. Choosing the right matcha powder is critical because you want to gain as many benefits as you possibly can. Always choose an Organic version that is not contaminated with pesticides. I will list a few great brands that I have tried personally and found to be most effective. Keep in mind not everything that is good is good for you. Matcha does have some contaminants like lead that naturally occur in the soil it is grown in but the benefits far outweigh any risks. Still I would stick to 1-2 cups a day and no more. Liver toxicity can be present in those who drink 5-6 cusps daily so 1-2 cups are safe. You may experience other side effects which aren’t really side effects but a reaction to the antioxidant boost. You may get lightheaded or dizzy or experience diarrhea at most. Just lower your dose if any of these symptoms occur. I have had issues with heart arrhythmias and anxiety in the past so I am extra cautious with caffeine. I tend to stick to one cup a day and use half a serving. Prepare the matcha according to directions by whisking green tea powder into boiling hot water. In a separate bowl whisk coconut milk until frothy. Layer coconut milk and green tea into a cup and add a sweetener of choice. Blend milk, sweetener, vanilla, and matcha together until smooth. Add the blended mixture to the chia seeds in a bowl. Stir thoroughly and well to coat chia seeds. Allow the mixture to sit overnight in the fridge so that the chia seeds can absorb the milk. Mix the ingredients once more right before bed. In the morning enjoy your chia pudding with whatever toppings you choose. I like to garnish mine with raw cocoa nibs and fresh fruit. These Matcha brands produce culinary Blends. You can use them to prepare your drink or latte or even bake some healthy desserts. I hope you enjoyed reading about matcha and its benefits. If you are already a matcha drinker what is your favorite way to drink your matcha?